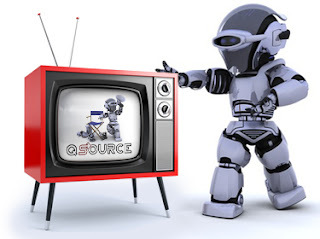 Q Source's YouTube Channel debuted our "On the Bench" video series back in April of 2011. On the Bench was created to be a series of product previews, demos, workflow solutions, and how-to's to provide our customers with the information needed to make better buying decisions. Our how-to and workflow solutions videos aim to help viewers get their jobs done easier. We wanted to take a quick look at a few of our best how-to videos so far. From stereo microscopes to wire shelving units, we've offered some handy how-to’s and teachable tips. In "How to Properly Focus a Stereo Microscope with the Unitron Z10 Series," Peter Indrigo of Unitron provided us with a great how-to on how to properly set up and focus a stereo microscope. Using Unitron's Z10 Zoom Stereo Microscope, Peter shows how easy it is to attain proper focus and avoid eyestrain. Our "3M Model 724 Constant ESD Workstation Monitor" video presents 3M rep David Leventhal demonstrating how to use and set up the Model 724 ESD Workstation Monitor. David explains how this unit continuously monitors the resistance of the operator and work surface ground connections. Two of our Q Source staff got together to help us with a "Metro Super Adjustable 2™ Super Erecta® Mobile Wire Shelving Unit Assembly." This step-by-step video shows just how easy it is to build your own Metro Mobile Shelving Cart. Brady's BMP71 Portable Label Printer is a versatile printer. In our "Printing Barcodes with the Brady BMP71" video, we show you how to easily create and print a variety of barcodes. Ever wonder how to build an IAC Dimension 4 Workbench? One of our Territory Account Specialists shows how easy it is in this "IAC Dimension 4 Workbench Assembly" On the Bench video. Akro-Mils offers many products for 5S and Lean. This "Akro-Mils Indicator™ Bins for 5S Process & Lean Manufacturing" video demonstrates how these two-toned BinTelligence Series bins help you "Stock, Pick, Flip, and Replenish." For more information on any of these products, or to place an order, please visit QSource.com. You can also give us a call at 800-966-6020 or contact us via email. And make sure you check back at Q Source’s YouTube Channel for new videos coming soon. If there's a product or topic you'd like to see The Q Source Resource write about please let us know. We'd also appreciate if you share this blog post with your friends and colleagues via the social media links below. If you have questions or comments about any of the products in this blog post, or related topics, please leave us a message in the comments section.